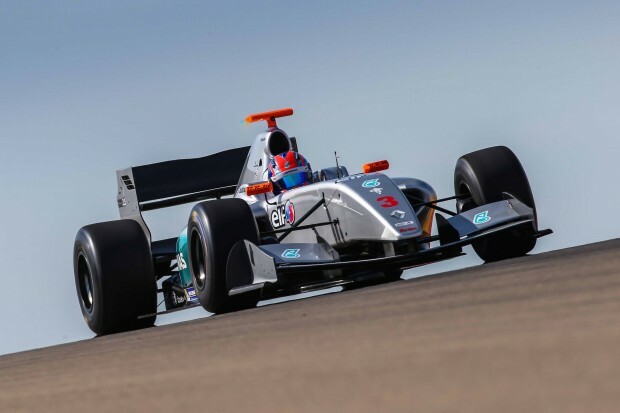 Leading Malaysian racing driver, Jazeman Jaafar, heads off to Budapest this week for the fourth round of the prestigious Formula Renault 3.5 Series, a feeder series to the highest level of the sport, Formula 1. The PETRONAS Talent Development Programme driver is lying third in the championship after a strong start to the season which has included a landmark win in Monaco and a second place podium in the last round at Spa-Francorchamps. The Hungaroring circuit in Budapest is the destination for the next event and Jazeman, driving with Fortec Motorsport this year, is keen to be racing for more podiums and wins at this track, one of the venues on the F1 calendar. The two 50 minutes Friday practice sessions take place at 10.00 and 14.10, with qualifying early on Saturday morning from 08.30 – 9.00. The first of the weekend’s two races is at 11.45, a 40 minutes race without a mandatory pitstop. Qualifying for the second race takes place at 08.30 on Sunday morning and the race is at 13.00, another 40 minutes timed race, with a mandatory pitstop between laps 5 and 14. For broadcast times check local Eurosport schedules.